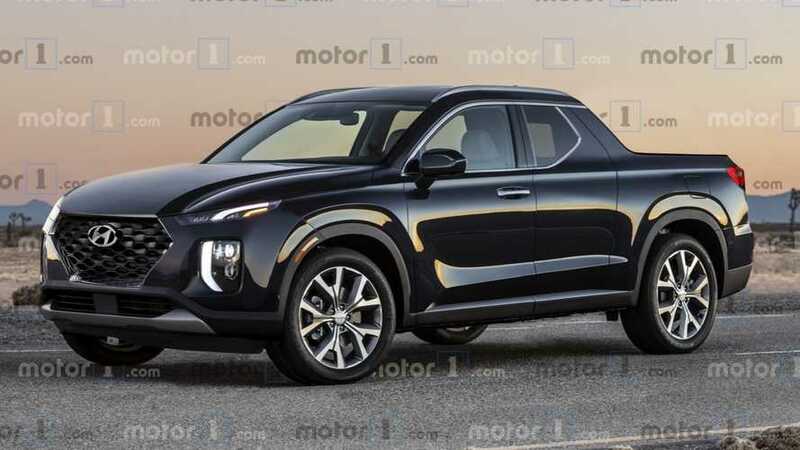 A new rendering was just posted up by Motor 1 and it gives the Santa Cruz a fresh new face, inspired by the design of the upcoming Palisade. I think the headlight design lends itself well to the SC, but from what Hyundai has said, we should be getting something completely original in the production model. Much better than renderings i've seen in the past but it doesn't seem utilitarian enough. Bigger body build like the Honda Ridgeline would do this design justice. Hyundai is taking a risk by doing something entirely different than the original concept. I know it's been years since it debuted and their design language has changed, but it was fairly forward thinking aside from the cabin imo. Or even the new Sonata. Seems like more of the premium design cues from their Genesis models are making their way into the lower segment. By the time you factor in pricing, standard equipment and their warranty package, the SC makes an appealing case against the big domestic brands. That rendering is still the original 2+2 cabin + box that attracted me to the SC in 1st place. Room for the groceries in back seat and bag of manure in back from hardware store that significant other asked me to pick up from work after picking up kid from friends. A bigger body, ala Ridgeline, is of no interest to me - I want to be able to park in the spot the CUV just pulled out of, not look for berth to tie up a land yacht. Completely agree that sizing will be a fundamental aspect to the kind of interest that the SC sees. There are so few 'midsize' pickups that are actually nimble and manageable within the city. I don't know if Hyundai has confirmed cabin sizes, but hoping for multiple options. Anyone think we'll see the Santa Cruz with a belt line as high up as the new Palisade? I'm sort of surprised that no one used it for an SC rendering so far. Many of the more recent articles around the SC suggest the production model will launch as a four door and not a single cab like the original concept. Multiple bed sizes its just as important imo, but hopefully the extending bed design makes it to production. I think Hyundai will either have to price the base Santa Cruz aggressively or offer a single cab to meet that price level that attracts fleet customers. If most other pickup makers are offering both cab options then why not Hyundai?